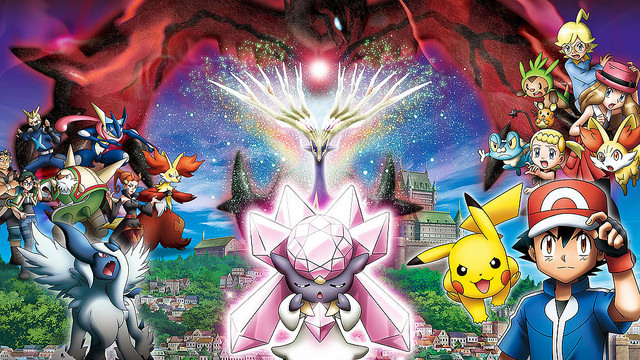 Watch Pokémon the Movie: Diancie and the Cocoon of Destruction trailer! When Destruction rises, can Life prevail? 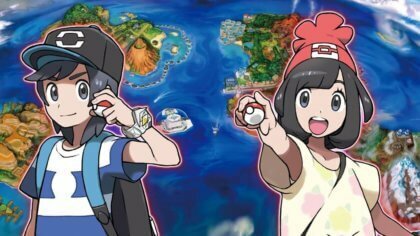 There’s a brand-new Pokémon adventure coming to TV to celebrate the launch of Pokémon Omega Ruby & Pokémon Alpha Sapphire! Ash Ketchum and Pikachu star in Pokémon the Movie: Diancie and the Cocoon of Destruction – coming soon to CiTV! The story takes place in the underground Diamond Domain, where many Carbink live and the Mythical Pokémon Diancie serves as ruler! But the Heart Diamond that sustains the land is beginning to fall apart and Diancie is not yet strong enough to create a new one! While seeking help from the Legendary Pokémon Xerneas, Diancie encounters a group of thieves who want to take control of its diamond-producing power–and who awaken the Legendary Pokémon Yveltal from its cocoon in the process! Can Ash and his friends help Diancie discover its true power and save the Diamond Domain? ©2014 Pokémon. ©1998–2014 PIKACHU PROJECT. TM, ®, and character names are trademarks of Nintendo.